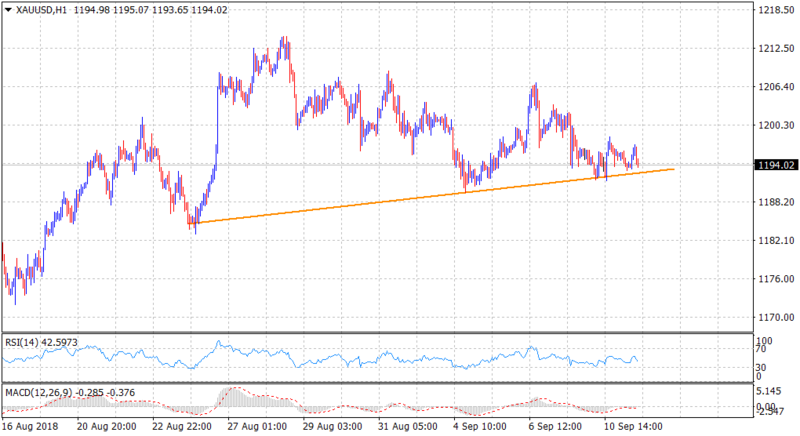 • The precious metal has managed to defend a short-term ascending trend-line support on the 1-hourly chart, albeit has struggled to gain any meaningful traction. • The commodity's inability to recover back above the key $1200 psychological mark, despite reviving safe-haven demand, increases prospects for a bearish breakdown. • Moreover, technical indicators on the mentioned chart have already drifted into negative territory and add credence to the near-term negative outlook. • However, it would be prudent to wait for a convincing break through the mentioned trend-line support before positioning for any further depreciating move.